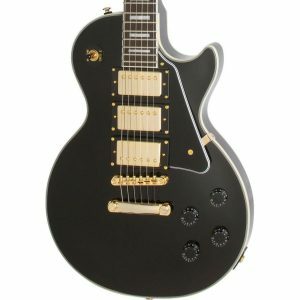 Are Guitars a Good Investment? Guitendo – What happens when you combine a Guitar with a Nintendo! National Reso-Phonic Guitars – Beauty and Tradition in a guitar! Yamaha F310 – Acoustic bestseller but is it a winner? Home > Guitar Gear & Guitars > What is the Best Guitar Pickup Configuration? What is the Best Guitar Pickup Configuration? The Telecaster has the classic two single coil pickup configuration which gives the guitar its clean crisp punchy sound. I am not sure if this is something that we consider much when we buy a guitar? Certainly when I first started playing guitar it wasn’t the pickup configuration that I thought about. Rather it was the look and feel of the guitar that was more important to me. However, it might be stating the obvious but pickups are what creates the sound. Therefore the choice of pickup configuration will have a major impact on the sound and tone of your guitar. As this is the case perhaps we should be considering it a little bit more than we do. So what is the best guitar pickup configuration? To answer that question it is perhaps worth considering first the various pickup configurations that are available. Once we have done that we can then move onto look at their impact on the sound and tone. Finally it is worth considering the style of music that you want to play. What choice do you have over the guitar pickup configuration? The traditional guitar pickup configuration options that we all think of, and are therefore most likely to be exposed to, are those that are in the three classic guitars. When I say the three classic guitars I mean of course the Gibson Les Paul, Fender Stratocaster and Fender Telecaster. These three guitars demonstrate the classic pickup configurations and also demonstrate nicely the benefits and drawbacks of each. The Telecaster gives us two single (S) coil pickups one in the bridge and one in the neck position. Moving onto the Stratocaster we have three single coil pickups. Finally with the Les Paul we have two humbuckers (H). In shorthand this can be represented as SS, SSS and HH for the Telecaster, Stratocaster and Les Paul respectively. Are there other pickup configuration options? The Ibanez Jem comes fitted with the versatile HSH pickup configuration. Is the Pope Catholic? Of course there are more pickup configurations. In some ways you are only limited by the imagination of the guitar luthier and the space available. After all there are only so many pickups you can cram onto the body of a guitar. So what are the other choices in terms of guitar pickup configuration open to us? The following pickup configurations can be considered to be attempts at pushing the sound and tonal output of the guitar. That is they provide something different from what is possible with the traditional guitar pickup configurations. The next most common pickup configuration is the Humbucker in the bridge position and single coils in the middle and neck positions (HSS). This could be considered to be the pickup configuration of choice for rockers, metal heads and speed freaks. The HSS pickup configuration became popular during the super strat era of the 1980s. Many a hair metal anthem and searing guitar solo was banged out using a guitar with an HSS pickup configuration. It is therefore a popular and often used pickup combination. A little bit more understated was the single humbucker in the bridge position for those who liked to keep things simple. The single humbucker gave you a crisp growling attack but perhaps missed some of the warmth of a pickup in the neck position. The humbucker in the bridge and a single coil in the neck position made up for this giving a basic set-up but a lot more variety than just a single humbucker. If you are looking to make a statement, and a lot of noise, then the three humbucker or Triple H pickup configuration is for you! Next up in the super-charged list of pickup configurations is the Humbucker in the bridge and neck positions and a single coil in the middle position (HSH). 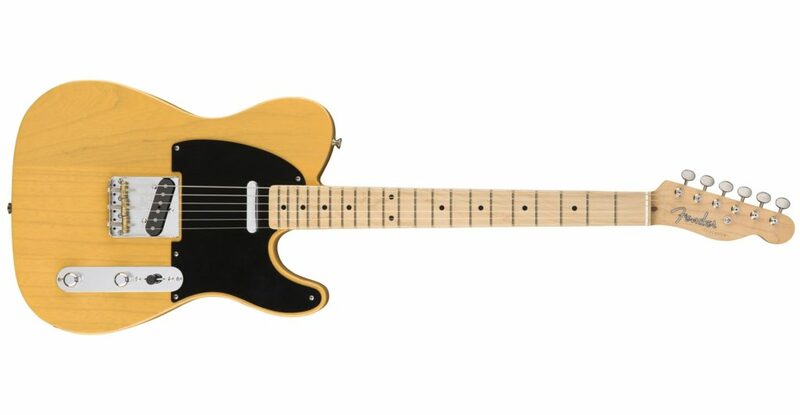 Finally, but perhaps more rare, is the three humbucker pickup configuration or what I prefer to call the Triple H (HHH). This was the pickup configuration used by those guitarists who wanted to make a statement about the power of their instrument and the force of their sound. The Triple H configuration was the guitar equivalent of the super charged V8 engine, all power and one hell of a sound! That wraps up our brief review of the various guitar pickup configuration options. But we have still not answered the question of what is the best guitar pickup configuration? However, to answer that question we need to consider the impact of the different configurations on sound, tone and versatility, which we will cover in our next article in this series on guitar pickups. Watch Joe Satriani rocking out on a cheap guitar. Anonymous on The Black Badger Guitar – Stylish quality at a budget price. 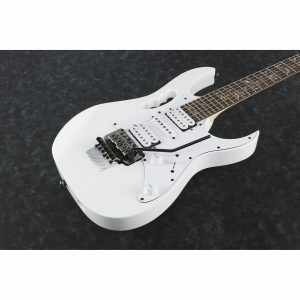 Anonymous on Ibanez GRG140 – Is it a Top Guitar? Anonymous on Fender CD60S – A Great Starter Acoustic? Subscribe to our mailing list and get the latest guitar news, updates and special offers direct to your email inbox.